LOTS OF PEOPLE TALK ABOUT SAVING THE WORLD. SUSAN McLUCAS IS TRYING HER BEST TO ACTUALLY DO IT. The Glorious Future is a 20-minute documentary about Susan McLucas. A committed activist, Susan spends her life trying to right the wrongs she sees in the world. 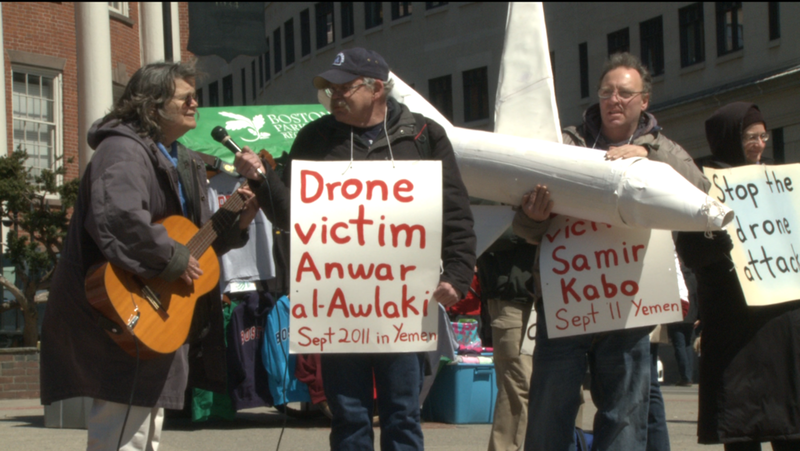 From Nicaragua to Mali, she has fought for human rights and health, against drone warfare, and to free whistle blowers from jail. This has been her way of life since coming of age during the Vietnam War. But with the big movements, impact can be hard to see. At times, it can even be discouraging. 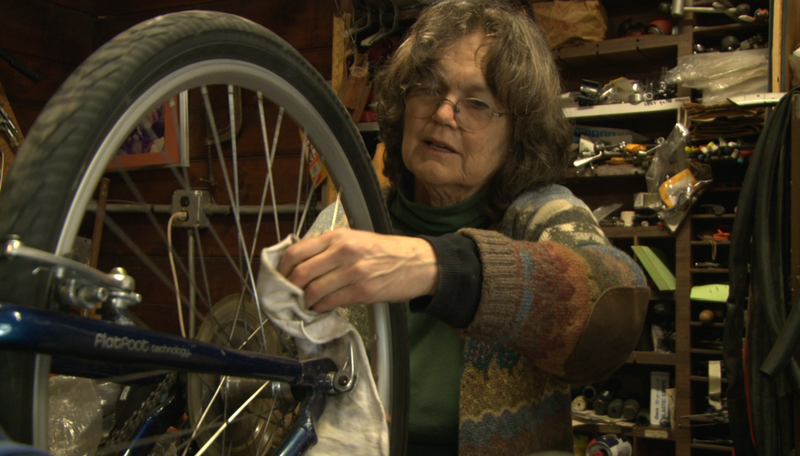 To make a living, she started working on bicycles and teaching grown-ups to ride. 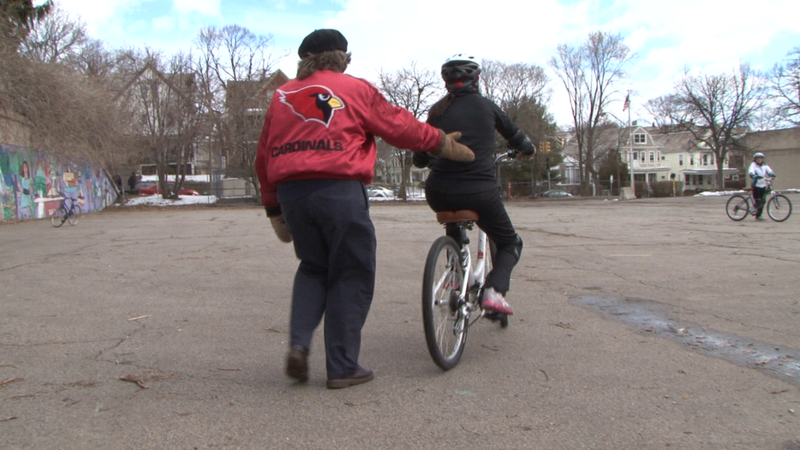 From her own backyard in Somerville, MA she finds her most direct impact might be at home: transforming adults who never learned to ride into cyclists at the Bicycle Riding School. 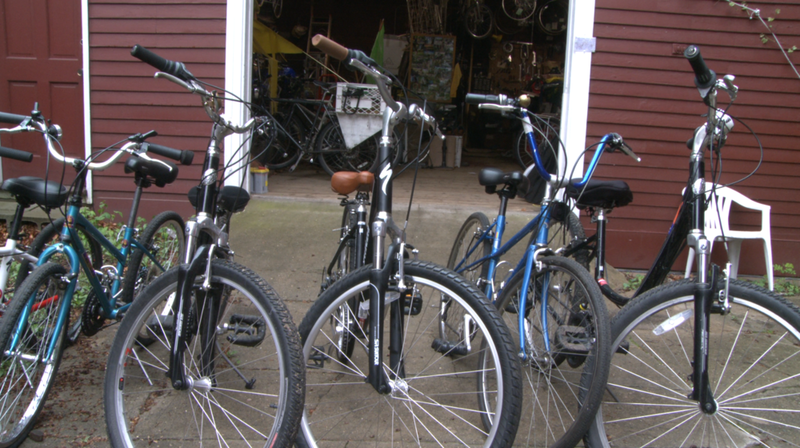 Laura Longsworth loves making films about people who pursue the things they care about as far as they possibly can, whether that's robbing banks, riding bikes, making sculpture, or halting environmental destruction. Most people care about something, but those who pursue a passion with everything they've got inspire Laura to bring their stories to other people. Susan McLucas, activist and teacher of cycling.